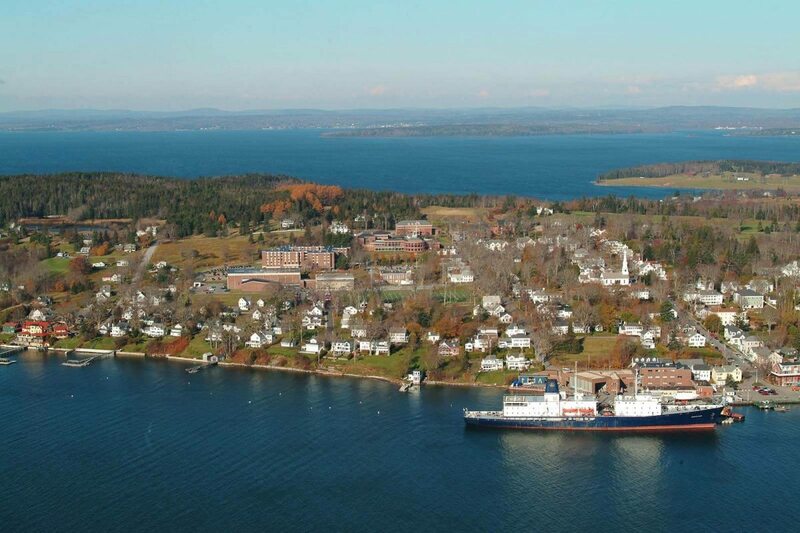 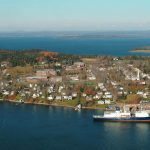 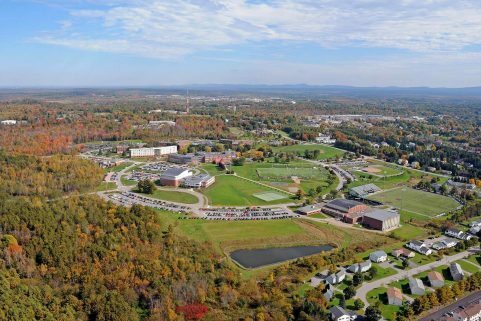 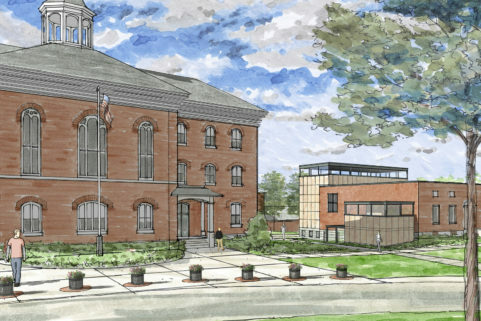 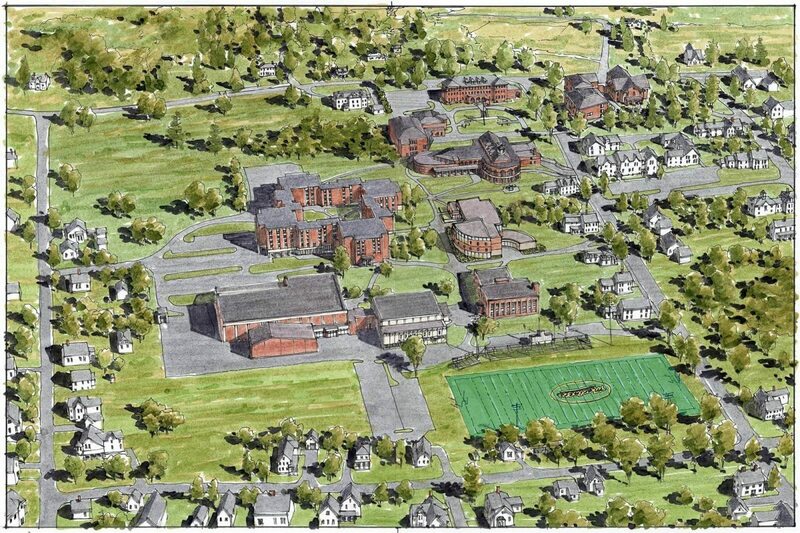 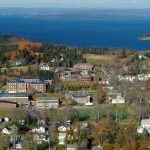 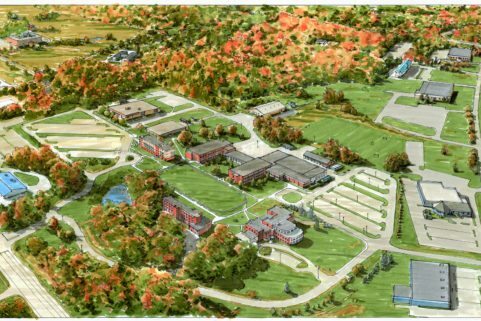 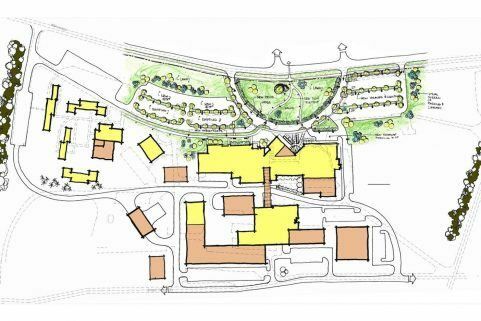 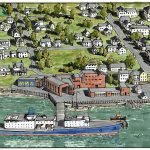 A campus plan update was prepared for Maine Maritime Academy by WBRC in anticipation of the construction of a new student union addition. 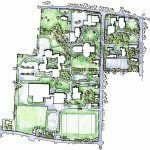 Using charettes, participants created a vision for that project and identified future growth areas, which included new graduate housing. 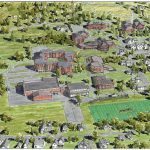 WBRC also assisted with permitting at state and local levels. 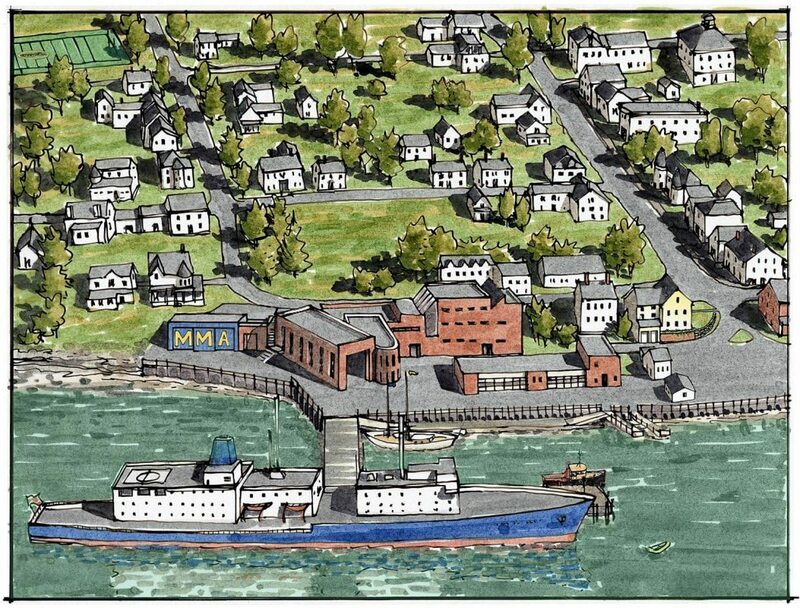 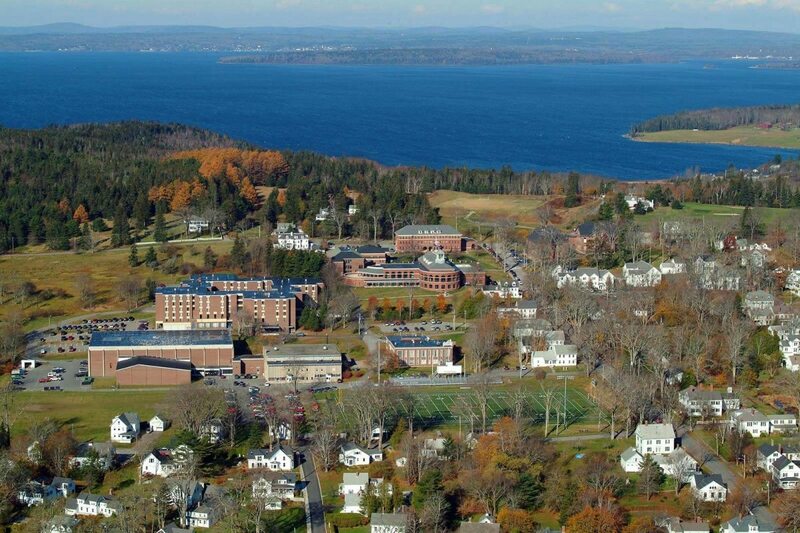 Overlooking the water from the Upper Quad, the expanded student union at Maine Maritime Academy occupies perhaps the most prominent site on campus. 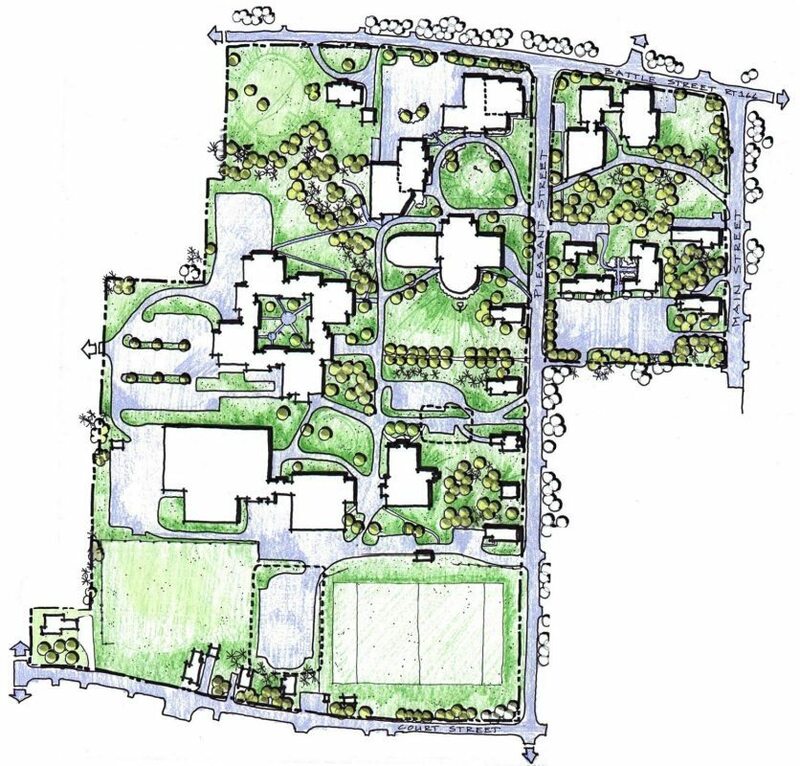 By understanding the building’s role on campus, the addition’s design fluidly integrates campus pedestrian movement with the frequently used spaces and facilities it houses.